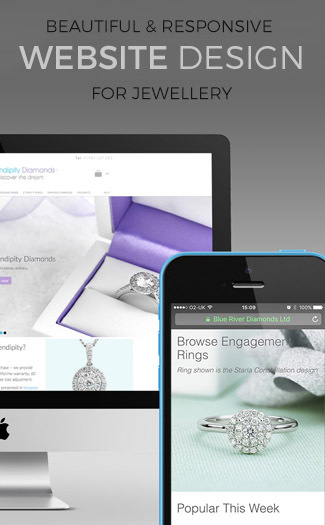 You are at:Home»Retail Jewellery News and Events»The Future of the Yellow Gold Engagement Ring. Yellow Gold Engagement rings have unfortunately been on the decline for many years now. 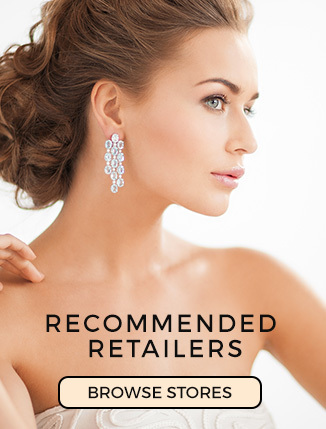 The jewellery industry has done very well adapting to the demand of different trend settings by the consumer. It seems the diamond has become more important to the purchaser and wearer, rather than the precious metal holding the beautiful sparkling rock. And why not? The diamond is the more expensive part of the purchase. 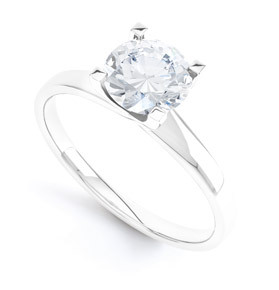 Metals such as Platinum and Palladium are seen to make the diamond on each engagement ring stand out and show off the stone to its full clarity and colour. Although this is true and the wearer receives more Bling for their hard earned Ching. Could this trend phase out? promoting yellow Gold to come back and take lead in the jewellery market once again? Maybe so, especially with the price of Gold steadily rising and becoming ever more costly. The nature of something becoming unaffordable, unattainable and possibly unattractive can lead to it becoming the new NOW!. We human types love to have something that no one else has, or is very different. Its in our nature to seek out something distinctive and that stands out from the crowd. Gold can come in many arrays of different colours, which maybe in the times to come, be the new highly sought after diamond ring type. We have messed about with different coloured Gold rings, using our Jewellery Photography techniques that go well with diamonds. Could this be the future of the engagement ring? They look different and to be fair interesting. Have your say and leave us a comment. The Sony SmartWatch – Flop or Not?…Can mobile displays help us keep in touch?.. Do you own a fake diamond. Use these simple tests to test your most precious assets..
Next Article Do you own a fake diamond? know the truth about your ring. Would love the black gold one. Interesting article and images. I like the potential gold colours. Is this achievable? although colours like this could be seen to cheapen the metal and the diamonds being shown. Possibly a good alternative to traditional engagement rings for younger couples not looking to spend a fortune! 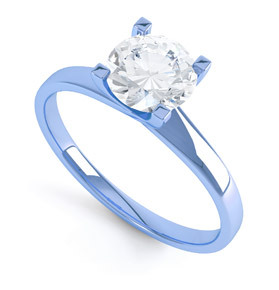 Although not technically achievable in Metal your right a cost effect alternative to expensive engagement rings would be awesome. I do wonder if anyone is doing this at all. Please forward any links..
Nice! Maybe some metal colours with different gemstone colours in them would look good. Fresh and exciting. Are these real? Some of them look a bit cheap but such an exciting range. I want the pink one!! agree. Love the black gold version. I have seen black and white ceramic rings online which look way cool but interested to see of you could pull of diamond rings like this. the other colors look really cheap though. Great post. love the purple where can i buy it at? Not sure you can Candace. These were just a few coloured images we did for a giggle. We quite liked them though!! I love them! I want them to be made. I am inlove with the blue one. I know they started making the pink gold, but now they should def make the different colors. I interestlinly enough, like the black gold as well. Not all girls like pink. I love blue and i’m about as girly as any other girl. that purple one is exactly what I want to give my future wife. I cant find anything like that anywhere. Thanks for all your comments. I’m a big fan of the Black one, reminds me of a great black ceramic ring I have (I think by John Greed). We’d love to see more metal choices like this as unfortunately the industry is stuck with three colours, Silver, Yellow and Rose. I’m sure some technician will come up with some precious metal tints soon though!! When niobium, tantalum or titanium metals are bathed in a electrical bath, they produce vibrant colors. These metals would serve as an alternate to gold, silver and platinum metals. someone ask for LimeGreen? Don’t let it blind you!! I’ve put an orange one in for good measure.. When will the pink one come out?? and how much would it be.. Roughly?? I would like to know where I can buy the black one?? LOVE the pink one where can i find this ring for my soon to be wife …. Whoa there Kayla. We get it, you like the Pink ring!! Print it out, make a hole in it and wear it on your finger!! 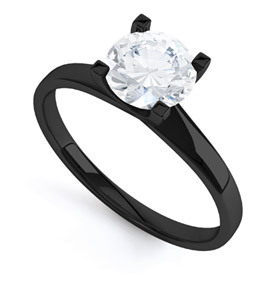 how would I go about getting a customize black one I need a 1q diamond in the middle and three 1/4on each side with begets alternative every other, also want the side to in beded into the black gold so they do not stand, I don’t care the cost I have to have it! “Sounds good in practice, but it can be a nightmare in practice. I used to know a company that manufactured blue gold but the big problem is solder. You cannot get blue gold solder, and how do you size a ring, if you cannot get the solder in the same shade. Anything unnaturally coloured, is hard to support with additional maintenance work, re-tipping etc, and even if you produced the coloured alloy, few bullion dealers would provide materials that were colour matched. i’d like a nice pink ring too!! This would be most excellent! I would get a black one in a minute! I want a pink one in the worst way!!!!!! Love Love Love!!!!! They have to make these!!!!!!!!! I must have the purple one please and thanks! i would totally rock the pink one!!! Where do u find these at?? Really, really really want a pink one!!!!! I would LOVE the green tone with a green amethyst!! Oh it sounds so yummy!!! These rings are awesome, would love to have a purple one. I love the purple one!! I want to know how to do this or where I can get one?!?! I sooooo want the pink one!!! Please make it and let me know where to purchase it!! OMG I LOVE the BLUE one! I want one so bad!!! I would take the purple one to denote the Passion I have for my boyfriend. 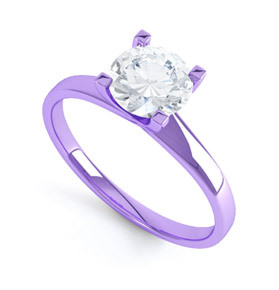 I want the purple one – I would get the whole wedding set like that… I REALLY DO WANT THIS…. HAVE TO HAVE THE PINK ONE!!! I WOULD SO WEAR THE PINK ONE!! My 2ct would look so awesome where can i buy!!! I love the photoshop work. My girlfriend is in love with the pink one. I like the idea of different colors in the same setting. I would love a green one myself. 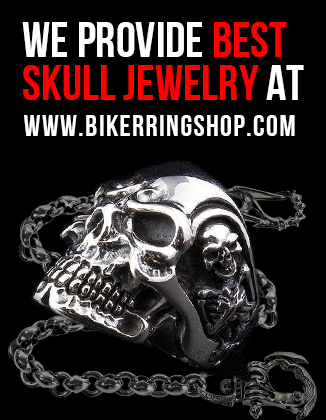 Any jewelers interested in this concept yet? Thank you for your comments Deb. We hope someone picks u on them soon. They would make a good range!! Where can I find the pink one in honor of my divorce??? Pleaseeee someone make these!! I will buy it immediately!! I’d buy the pink one for myself! Does anyone actually make these? Hi Morgaine, unfortunately not but you can get some Beautiful looking rose gold ones. We need to start a petition to find a manufacturer who will make them!! I would buy the purple one for my girlfriend in a heartbeat! She is die hard Minnesota Vikings fan and is in love with the color purple. YES! Pleas go ahead and make the colors! I LOVE pink! I would get one in teal in a HEARTBEAT!!!! <3 love love love this idea!!! everybody is talking about the pinks and blue but im inlove with the black and found a place that does black gold Liori Diamonds amazing black gold collection! i pray my boyfriend gets me one some day!! i want a blue one!! 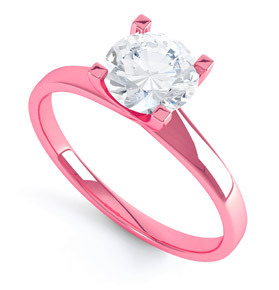 My favorite color is pink me and my man are looking to get me a engagment ring he wants to know pricing and how to possibly get this??? OMG, purple gold. This needs to be a real thing, like NOW! I don’t think the technology exists yet to make these colours. But an interesting idea though, don’t you think? I love pink too, but I’m hoping to have a rose gold or pink gold wedding band – pinkish enough to make me happy. You could also get a ring with same color jewels all around the band. Does any jewelry place make these? If yes where can I buy one? I love the pink purple and black ones. Soooo do they really exist? Sorry. We have it on our list of “things to do in the future’ !! Omg!!!! Where Can I Buy The Pink Ring????? If the band on these rings were thicker I would love!!!!!!! The purple one is stunning. They are different, but that is what captures the attention. Great idea, until the color begins to fade and tarnish making it look like you bought it from a quarter vending machine. Plating 10, 14, or 18 karat gold will ultimately end up the as the base color it is plated on. One thing that isn’t mentioned here is that these colours would be completely possible in anodized Titanium or Niobium. Nice Jewellery Magazine, Best one I’ve seen on the net.